FxPro is a broker founded in 2006, which is currently operating from the UK and Cyprus. The broker is regulated in these countries respectively by the Financial Conduct Authority and the Cyprus Securities and Exchange Commission. FxPro clients can choose from a wide range of trading accounts: FxPro MT4, FxPro MT5, FxPro cTrader, FxPro SuperTrader. When choosing the FxPro MT4 account traders can also choose a type of spreads: floating spread with instant execution, floating spread with market execution and fixed spread with instant execution. The broker offers a large selection of currency pairs and CFDs, there are available shares, indices, energies, metals and futures. Please rate and add your opinion about FxPro. Totally satisfied. The broker appreciates its customers. Technical support is sensible, it really helps in the trades, I work with them for a long time. Best broker for me. Very decent broker. I was advised to open an account here by my friend- did not regret, the level of services is quite high! Very good platform. I trade with FxPro for half a year. Everything is ok. The spread is low. No problems with the server connection and execution. The orders open and close without large slippages. To my mind, this broker is quite good. IMHO, Fxpro is good for the first trading experience. Excellent demo and a lot of educational materials. I am very happy and satisfied with the conditions and service FxPro provides. Highly recommend this company! I was new on forex when joined fxpro and with the courses and webinars provided by this broker, I learned a lot of aspects of this market. Also, what I like the most is their analysis. My favourive forex broker. Very transparent and reliable. Never had issues. Highly recommend FxPro to all! I signed up with FxPro a couple of months ago. My decision was influenced by the fact that FxPro is rather well-known compan and trading conditions suits me. So far, good expirience for me. Fxpro is my top choice. They allow all the trading strategies and all kind of EA’s. Very convenient broker for algorithmic trading. Also, they provide fast deposit and withdrawal service. Really satisfied with everything they have provided me so far. I think Fxpro is good brokerage. Their spread is tight, execution is fast and there are no any fees for withdrawals. Broker is doing everything what is required: no delays, stable connection to the server. I like fxpro and trust them. Never had problems with withdrawals and order execution. The web site is user-friendly and well-organized, great trading software and studying block. I’m with FxPro since the end of last year. In my humble opinion it is one of the most reliable brokers in the Europe. Low spreads, fast deposit and withdrawals, qualified support and a lot of nice contests. I am a client of FxPro, more than a year, I have no problem with them. Their servers are stable and fast, orders executed quite well, support team always serve me very well and professionally. Imho, Fxpro is one of the best brokers in Europe, which often improve their services to keep up with the times. I work with them for last 3 years and still satisfied with all conditions and quality of customer service. Really decent broker. I’m actually opening a second account with them. All conditions are good for me, support is excellent and I have no issues and delays with my withdrawals. I more trust in expert advisors than in manual trading. Fxpro has a lot features for algorithmic trading that’s why I chose them. I have no issues while working with this company. Trade with them for a long and they still my favorite broker. Never had any major problems. Trading and withdrawal processes are comfortable and smooth. So going to stay here. Never regret with my choice of broker. I have been using FXPRO since 2015 and almost two years with them. So far, I don’t have much issues. I hope that in the future service will be on the same level. Very good company to trade. I am client of fxpro since last year and I know that I wouldn’t change this broker for any other one. The trading platform works well. I make my deposits and withdrawals by wire transfer directly to my personal bank account and it only takes 1-2 days. Really professional licensed broker. Imho, execution is adequate, rapid and fair, good customer support which works 24/5. Also, I like their charts and analytics. Fast deposit and withdrawal process. You can use bank wire, credit card, PayPal, Neteller, Skrill etc. For the moment I am very satisfied with this broker. I satisfied with fxpro. They offer a decent execution of orders, plus stable operation of the platform. Convenient leverage and tight spreads. You can choose between a wide range of trading instruments. There are a lot of withdrawal options and it is quite prompt. Also, I can use my EA’s without any limits. I am completely satisfied with my Fxpro performance. Especially after my first successful withdrawal. It is the first broker where I have no problems with my account. The platform is very easy to understand. I’m used to it for 2 weeks. Reliable company and great service! 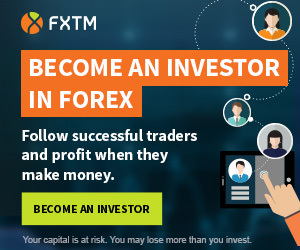 I’m holding an account in FxPro, in my mind, they are one of the best. They have a very good multilingual support, that can assist you 24/5 and they reply to your emails and calls very fast and professionally! Very comfortable platform and conditions for scalping. Fast withdrawals.I’m totally satisfied! I am trading forex for nearly 3 years. For all this time I have never found a forex broker which is so good with EAs. There are no restrictions on advisors and you even can write it yourself. Also they provide quite good and reliable service. Nice broker. That’s my opinion. Heard a lot of good words about it, but didn’t believe until started working personally. Really useful platforms and mobile applications. A lot of interesting trading tools. Spreads are low as promised. Slippages and requotes are minimal. Didn’t see any manipulations with market indicators. I think FxPro plays the game safe and honest. So if you need a good broker to work with – feel free to try this one. Well-known and trustworthy broker. I totally satisfied with FxPro conditions. They offer high liquidity, low spreads and there is no slippage on Instant Execution. You can use all automated Expert Advisors and scalping strategies permitted. Deposit/withdrawal options are fast and convenient, you can use cards, wire transfer, skrill, paypal etc. But on my mind the most important options are: negative balance protection and deposit protection by the local Investor Compensation Scheme. Thanks to this options you can not worry about your money and sleep calmly. I started using them because the spreads and commissions looked good and my familiar trader recommended FxPro to me. Opening the account took quite long period of time. I have sent a scan of my passport and other docs. They explain that with the requirements of FCA. I needed several attempts until they were satisfied. But they have been really friendly and calling me a few times to clarify certain points. The execution is quite well. I hadn’t any problems with it. Withdrawals via Skrill and PayPal is also rapid. At the moment I’m satisfied with FxPro and I’m thinking about the opening of second account here. I’m on this market from 2013 and my opinion that fxpro is a good broker to deal with.I use MT4 and MT4 mobile with market execution. Very good and fast platform without serious freezes and slippages. Customer service and support is also on the high level. Withdrawal of the funds without delays. Reliable broker with European regulation. A year ago i tried to join traders army for the first time. I didn’t know a lot about forex and everything, but was silly and planned to start with real money immediately. I could lost my money easy peasy. But while registration FxPro slowed me down and recommended to start from demo account to study first. That was really good advice. Thx to them. Satisfied with the service they provide. Really professional licensed broker. I use ctrader – very fast ECN platform. There are no re-quotes and spreads are very low. I have no problems with my two accounts. Deposit/withdrawal always processed under the rules and support is always polite and competent. FXPRO are flexible with their minimum deposits. I was accepted to deposit £100 when I opened Sterling acct with them. Although am yet to make profits.